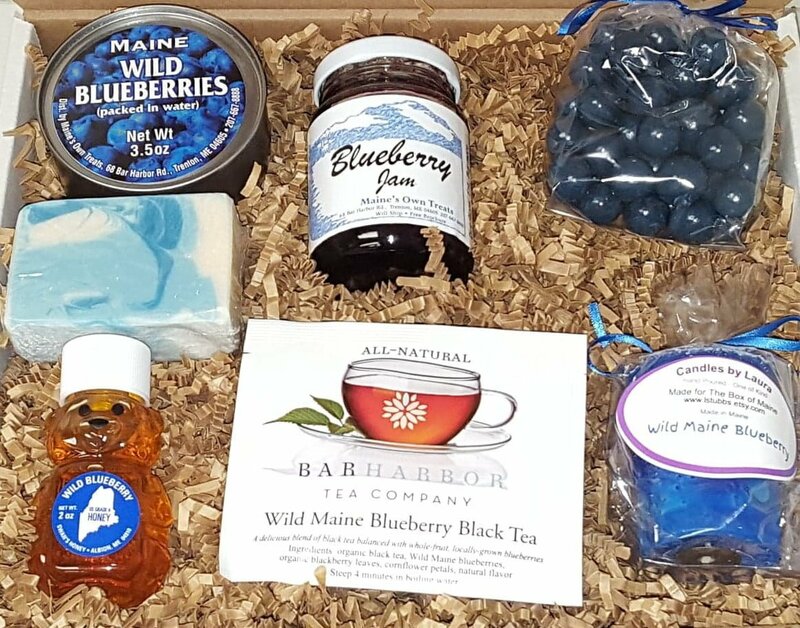 If you know someone with a taste for wild Maine blueberry products, this unique gift box will make them your friend for life! 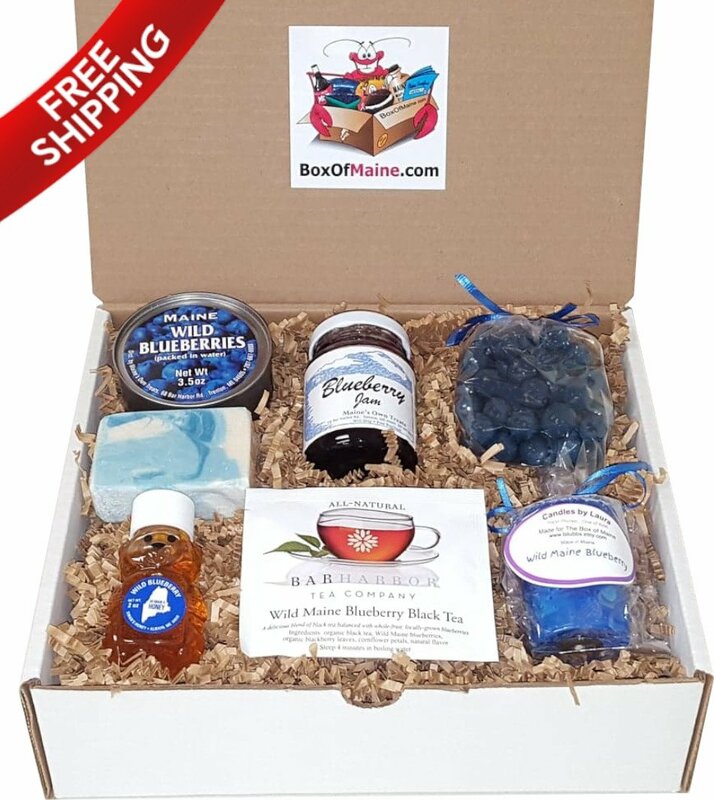 Price Includes Free USPS Priority Shipping! We typically ship all our boxes within 24 hours of receiving your order, and use USPS Priority Shipping to make sure your package arrives in 2-3 days. You receive a tracking number via email so you can follow your box to its destination. 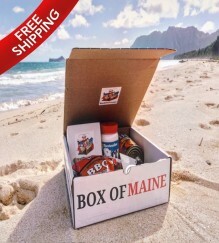 FREE SHIPPING to USA and Military APO / FPO addresses. Simply add your optional message, choose whether to ship right away or have delivered at a future date. Click the Add to Cart button. Then fill out the shipping and billing info, input your payment details, and then click the Place Order button. Would you like to include a special message for the recipient? Ordering in advance for a special occasion? Enter the date you want it delivered by below. We ship our boxes using USPS 2-3 Day Priority Mail, and will do our best to make sure your box arrives on or before the date you choose. However, since the postal service does not guarantee the delivery dates on that service, neither can we. They typically do a great job of getting the boxes delivered on time, but we encourage you to add a little buffer to future orders, just in case. By selecting a future date below you acknowledge this disclaimer, and agree to hold us harmless if your package arrives after the day you select.